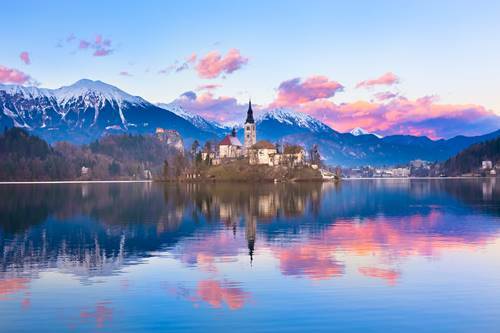 Slovenia is situated in southern Eastern Europe, and is bordered by the countries of Croatia, Italy, Austria, Hungary and the sparkling Adriatic Sea. The country’s scenic landscape is dominated and distinguished by its snow-capped mountain peaks, turquoise-green rivers and a dramatic Venetian-style coastline. The magnificent Lake Bled with its Julian Alps backdrop, and the subterranean Postojna and Škocjan caves are just a few of the landmark attractions that tempt visitors to explore Slovenia. Wherever you go, traces of Slovenia’s diverse history are very much evident. Boasting an incredible mixture of continental climates, Slovenia is proud to be one of Europe’s greenest countries. Mostly made up of mountainous terrain that is covered with lush, dense forests, Slovenia has a significant biological diversity, rich history and heritage, and sophisticated culture and cuisine. It also has an active seismic zone. The natural regions comprise of the Alpine, the Mediterranean, the Dinaric and the Pannonian landscapes. Slovenia has many designated protected areas that include Triglav National Park, nature parks and regional parks. To fully appreciate the history, heritage and culture of Slovenia, visit its beautiful capital city Ljubljana, and the popular landmark attraction of Lake Bled. Its second largest town, Maribor, is well known for wine production. Visit the UNESCO listed Skocjan Caves and the largest Karst cave of Postojna, to admire the natural beauty of the country. To discover a historical monument of importance, explore the enchanting Mediterranean town of Piran. There are also fairytale castles to explore, as well as the charming Old Town district of Ljubljana, which boasts many fine examples of classic Baroque and Habsburg inspired architecture. 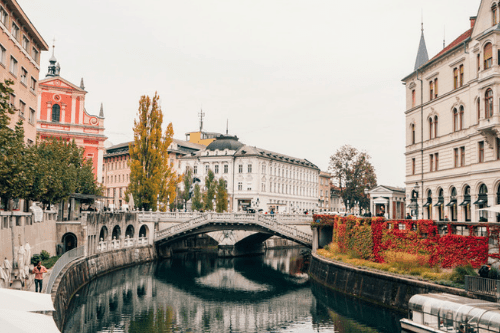 Take a seat at a table, on the alfresco cafe terrace that lines the banks of the stunning Ljubljanica River, and soak up the laidback atmosphere whilst you enjoy a spot of people watching. The popular tourist destination of Lake Bled is situated in the magnificent Julian Alps of the Upper Carniolan region of Slovenia. The picturesque landscape features the large shimmering blue-green lake, an enchanting islet, and a dramatic mountainous backdrop. The romantic fairytale ambience of the breathtaking scenery draws visitors who want to explore hiking, biking, canyoning, kayaking, swimming, surfboarding and other exciting watersports opportunities. If you prefer to stroll around the lake, allow up to 2 hours to complete the journey. Visit one of the country’s most spectacular natural landmarks. Postojna Cave is the largest Karst cave in Slovenia, and boasts 16 miles of underground tunnels. To explore the vast cave, hop aboard a little train and then enjoy a guided tour on foot. 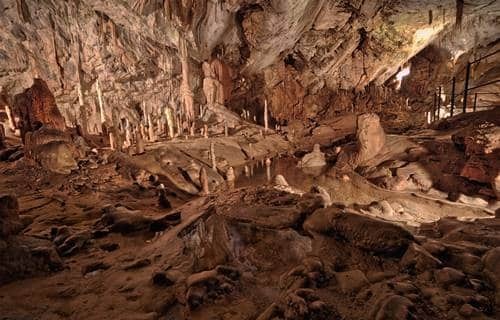 Admire the stunning stalactites, stalagmites, and other rock formations. The interior is tranquil and peaceful but it’s also home to around 100 animal species. The cave features an aquarium where you can observe the popular local attraction of the Vivaruim Proteus.